Additional Banner information can be found on our ABOUT page. On our way to Rose des Champs - a unique tourist-oriented raised farm open to the public in Quebec, Canada, we drove through a countryside that was enveloped in a kaleidoscope of colours, bathing the landscape with an inviting aura. As we stepped out of our bus, the owners of the farm, Norman Benoit and Claire Mercier as well as their employees, immediately made us feel welcome. Soon thereafter, Norman took us for a tour of their four acre organically grown rose farm, containing some 2,000 rose bushes made up of some 800 species. Everywhere the garden-farm was embellished by the brilliant colours of the roses. As we walked, we were all gripped with the fragrances and scenery of roses around us. Since taking ownership of the farm, Norman and Claire together decided that growing roses and turning the petals into rose products would be more fulfilling then traditional farming. 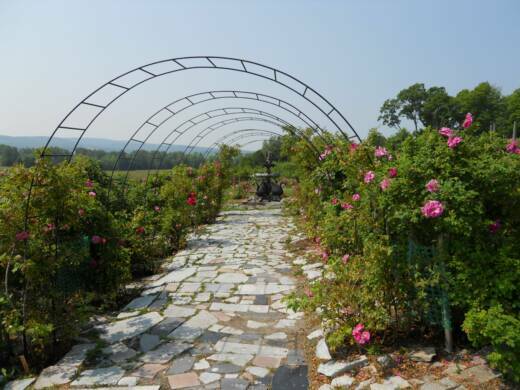 After four years of intensive work they were able to establish their attractive rose garden-farm surrounded by and open to a million acres of scenic greenery. 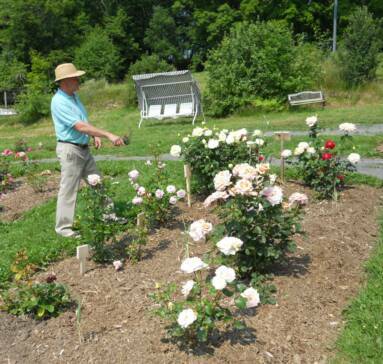 As we moved among the roses, Norman kept us informed as he explained the history of roses. Although he did give a good overview of the subject, not enough was credited to the precursor of the modern rose in the West, this being the Damascus rose (Rosa damascena). It is this Syrian variety of the rose that many historians believe to be is the mother of virtually all the roses in the West. It was brought back to Europe from Damascus, Syria by the returning Crusaders and through the centuries many other types were developed from this species. Once our history lesson ended, Norman then spoke of the present and what he and his wife have created. Indeed the Rose des Champs is not only a paradise of roses but a production centre for rose by-products. Lotions, gels, soaps, oils, perfumes, jellies and jams and all that makes the best and comes from the flower, Norman and Claire have captured its essence. From the tour we were given of the production areas to the shop where these products are for sale, it is obvious that the rose is not just a rose. And the owners have more plans for the future. Our last stop was the distillery where rosewater is extracted from the roses - a process that has been around for almost a thousand years. In the 11th century, an Arab doctor, Avicenna, is credited with the discovery of the process for extracting rosewater from rose petals - more than six pounds of rose petals are needed to make one gallon of rosewater. . Later the process of distillation was introduced into Europe but in the ensuing centuries it was mostly used to distil alcoholic drinks. Rose des Champs is a tourist oasis where the rose reigns supreme - in the words of a customer: “Here everything is roses’. 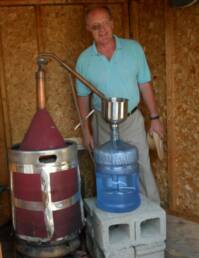 It includes a rose garden, a distillery for producing rosewater and a boutique shop offering a large variety of products all made from the rose petal. Rose petal jam, rose syrup, rose vinegar and numerous other products are on sale and others are on the drawing board. Also, included in the farm are a series of water gardens and a part of the garden is reserved for growing some of the roses for petal and hip purposes. Guided tours: Besides the regular guided tours for groups, tours can be arranged for visitors’ needs such as school groups and horticultural associations. Visitors are welcomed every day from 10 AM to 5 PM from June 19th to September 13th. During the remainder of September, the farm is open on weekends and weekdays but only by appointment. For centuries, the Damascus rose has been considered almost world-wide as a symbol of beauty and love. The most perfect of all flowers’ and ‘an emblem of perfection and faithfulness’ is how some Damascus rose enthusiasts describe this historic highly-scented flower. The frequency of its flowering and its perfume makes this magnificently fragrant rose a queen among the flowers. The Romans were enamoured with this rose and its cultivation spread to various parts of their empire. However it was to be only after the Arabs/Moors took it to the Iberian Peninsula and the Crusaders to other parts of Europe that it became famous in the West. 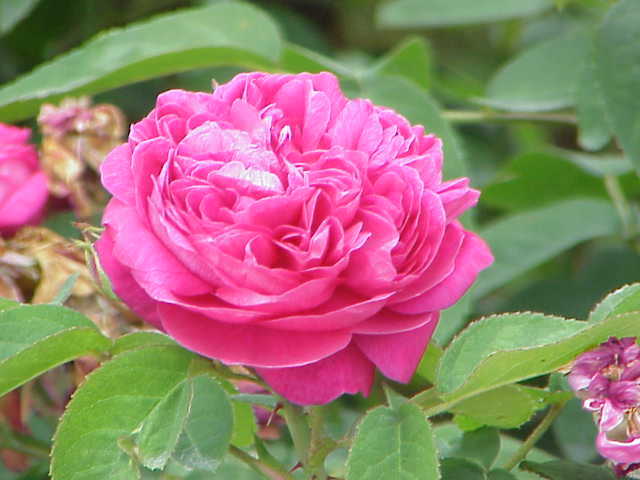 The Damascus rose was only introduced into England during the reign of Henry VIII. 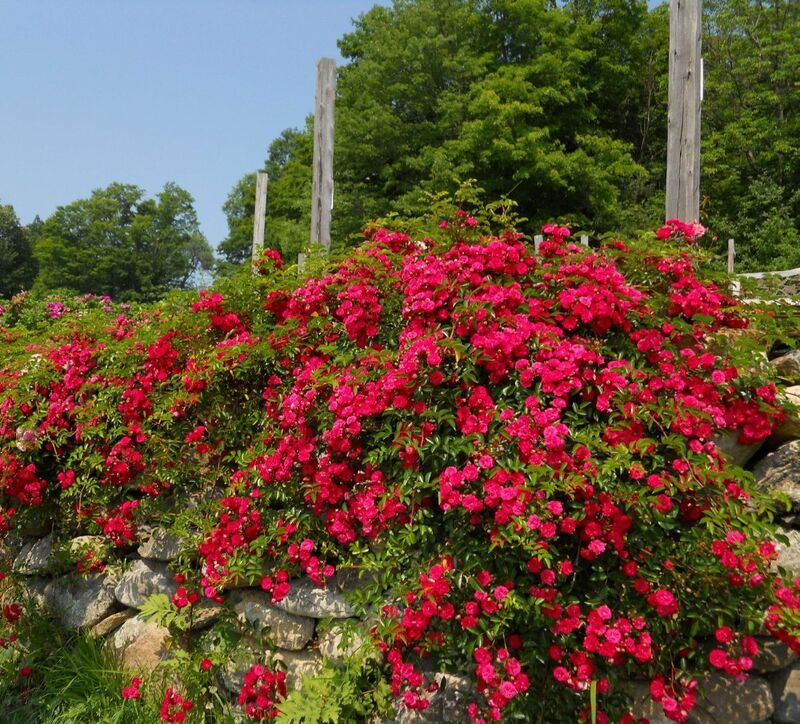 I do not know if any of the roses at Norman Benoit and Claire Mercier’s farm have any connection with the Damascus rose but his colourful rose farm brought to mind the Rosa damascena. 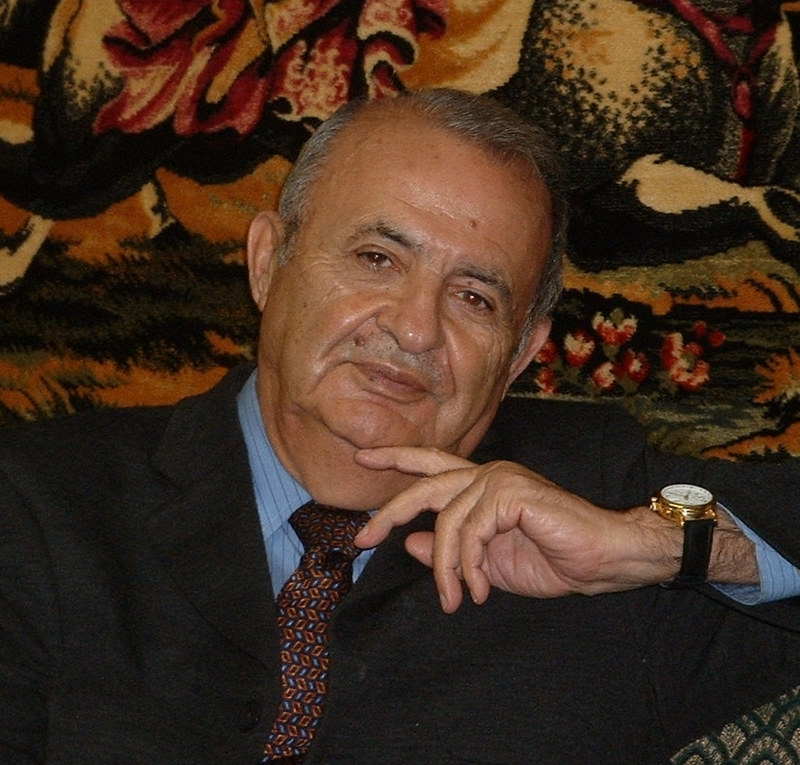 HABEEB SALLOUM is a Canadian author who grew up in Saskatchewan, joined the RCAF during the Second World War, and then worked for the Canadian Department of National Revenue for 36 years. For the last 26 years he has been a full-time freelance writer and author specializing in food, history and travel. Besides 7 books and 19 chapters in books he has had hundreds of articles about culture, food, travel, history and homesteading in western Canada appear in such publications as the Toronto Star, the Globe and Mail, the Western Producer, Vegetarian Journal, Saveur and many others.